Campion School is a boys school, founded on January 20,1943, by the members of the Society of Jesus, a Roman Catholic Religious Order commonly called the Jesuits. The Founder Principal was Late Fr. Joseph Savall S.J. The School began its career in a rental ground floor at 45 New Marine Lines with just 23 children, but as the year advanced there were 70 boys on the rolls. Campion School shifted its quarters to its originally intended premises at Wellesley House in January 1948. 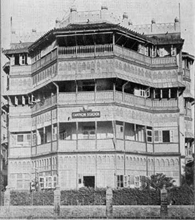 In 1956, Campion attained the stature of a full fledged High School with 382 children on its rolls, recognized both by the University of Cambridge as an A – CERTIFICATE SCHOOL, and by the SSC Board, Pune. Fr. Savall S.J. gave birth to the school, Fr. Conessa S.J. nursed it for a while, but Fr. More S.J. gave it a culture and a singular aspect, unique in the history of Campion School. The Society of Jesus, a Christian Religious Order founded by St. Ignatius of Loyola in 1540, has been active in the field of education throughout the world since its origin. In India, the Society of Jesus is at present responsible for over 300 schools and 19 colleges in which over 32,00,000 young people, belonging to every social class, community and linguistic group are being educated through the medium of English and other regional languages. These institutions are part of the effort of the Catholic Church to share in the country’s educational undertaking. This effort, while being particularly responsible towards the Christian community, has always been at the service of the whole nation. 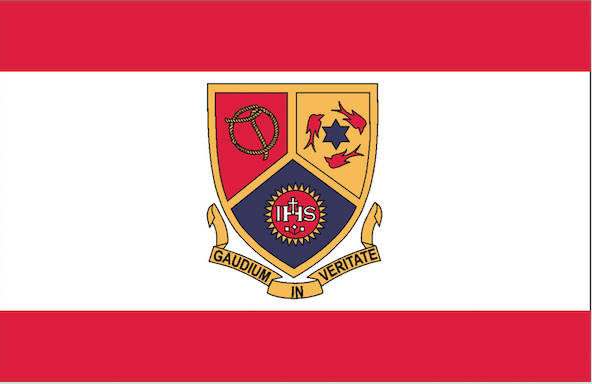 The first Jesuit institution in India was founded in 1542 in Goa and was named St. Paul’s College. Jesuit education is inspired by a vision of man drawn from the life and teachings of Jesus Christ, who has always been respected and admired by the people of India. It is also based on the principles of character formation elaborated by St. Ignatius of Loyola. 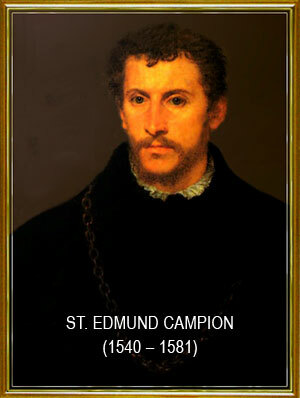 Edmund Campion was born on January 25, 1540 in London, where his father ran a bookshop. Young Edmund was very talented and did brilliantly, first as a schoolboy, and later on as a student of St. John’s College, Oxford. He was repeatedly chosen to speak in the name of his school and his college on formal public occasions. After obtaining his doctorate he lectured in Oxford with such eloquence that even Queen Elizabeth went to hear him and was taken up so much by his elegance and forceful speech that he became her favorite. Soon he acquired fame as a great educationist and became one of the most sougth-for lecturers of the famous Oxford University. However, he aimed at higher things and he left for Rome on foot to join the Society of Jesus founded by St. Ignatius of Loyola, about the time of his birth. He spent some time working in Bohemia, then returned to London as part of a Jesuit missions, crossing the Channel disguised as a jewel merchant, and worked with Jesuit brother Saint Nicholas Owen. There he wrote a description of his new mission in which he explained that his work was religious, not political; it became known as Campion’s Brag. 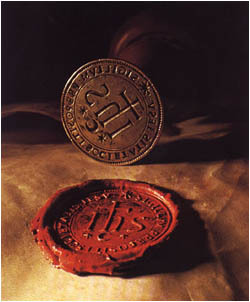 Widely distributed, it encouraged many Catholics to remain loyal to their faith. It also led to Edmund’s arrest, imprisonment and torture in the Tower of London, and martyrdom. Fr. Edmund Campion, the celebrated patron of Campion Schools died most gloriously being hanged at Tyburn, London, on December 1, 1581. Our school is dedicated to his name, it is our earnest hope that the students of our institution inspired by his invincible courage and glowing faith will walk in his footsteps and add luster to his name. Every Campionite treasures his School Badge for it speaks volumes to him. The Campion School Badge is prepared along strictly medieval lines. It is in the form of a shield originating from the shields of the knights of old. The shield has three major divisions, each with a different colour background and a scroll containing the school motto “Joy in Truth”, a motto that each Campionite must make his own. Where Truth is achieved, the natural outcome is Joy, and every Campionite in coming to Campion is in search of true knowledge that will enhance his personality, bringing a wholesome joy and light to his life. This motto is symbolically expressed by three birds that stand for joy while the star, firmly fixed and shedding its radiance, stands for Truth. In days of yore, stars were always guide-posts to lost travelers. Truth achieved through the three R’s brings true joy. This is represented by the three birds flying merrily around the guide-post, Truth. On the left side, against a red background is a rope shaped like a noose. It stands for the barbarous and gruesome death of Saint Edmund Campion who sacrificed his life joyfully for the love of Truth. He, a great Jesuit scholar at Oxford, was put to death by Queen Elizabeth I. His loyalty to Truth and joy in sacrificing his life for the highest principles is fittingly represented. Finally, at the base of the shield is to be found the motto of the Society of Jesus. It consists of the Holy Name of Jesus in abbreviated form. This abbreviation is peculiar in the sense that the letters have been taken from the Greek word for ‘first’ which was a symbol of Christ. The little Cross on the top, the three nails below and the whole encircled in a halo of light, further enhance the Holy Name as a symbol that a Jesuit’s life must be permeated with a spirit of love and sacrifice characteristic of His Master, Christ. This symbol of the Jesuits originated from the decorative art of the XVI century and is always in yellow and blue. May the short explanation help each Campionite to treasure his School Badge and ever be loyal and true to Campion. There is a challenge every man must meet who walks by day.